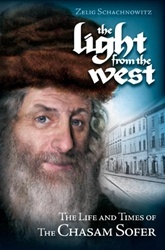 The Chasam Sofer, Rabbi Moshe Sofer, is one of the most distinguished personages West-European Orthodox Jewry produced in the last two centuries. As his contemporaries decreed, Moshe emes v’Toraso emes: Moshe is true and his teachings are true – a dictum allocated to very few. A Torah giant who set the stage and the standard for Torah-true Judaism in modern times, the Chasam Sofer founded and guided the famed Yeshiva of Pressburg, which became the forerunner of hundreds of yeshivos that sprang forth in Hungary. His influence spread far beyond Hungary, and his responsa became an accepted guide in questions regarding Judaism. We present this new, revised edition of this inspiring biographical work for contemporary readers to enjoy.